In the Ferrari hospitality unit perched above the paddock lagoon, Kimi Raikkonen had his first meeting of the Chinese GP weekend with the world’s media. Kimi did see signs of progress over recent weeks. “At the last race, the overall feeling I had from the car had improved and the problem in Bahrain was just that we were a bit slow,” he maintained. A warm and friendly welcome greeted the Scuderia Ferrari drivers on arrival in Shanghai and those sentiments were echoed when they attended a meeting organised by Scuderia Ferrari sponsor Weichai. For its home race the company decided to unveil its new logo which has been on the F14 T since the start of the season. 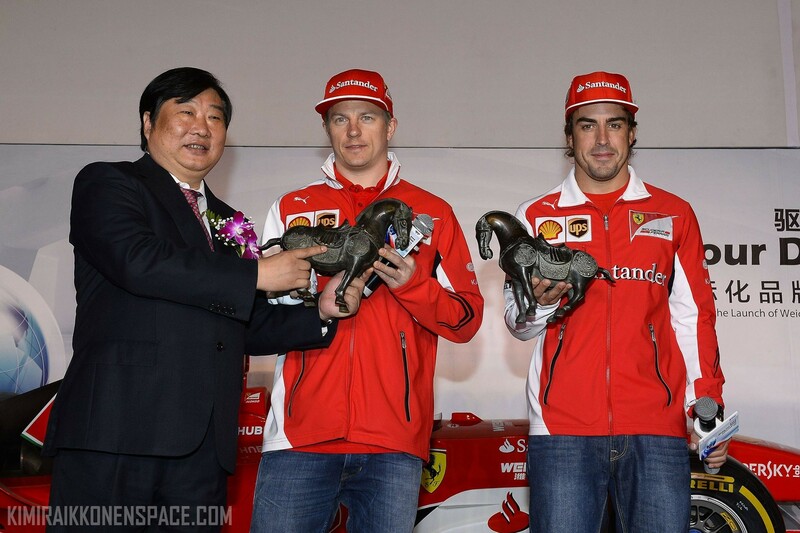 Its the same story with kimi and free practice. Either its something that kimi doesn’t like or the team is busy with settings.